Visiting the Krka National Park was an amazing experience. The scenery is so beautiful and the lakes and the waterfalls are amazing. Irena was a fantastic guide. She called for us earlier to accommodate our timing and she explained the highlights of our tour. She was very flexible and knowledgeable and she was kind enough to recommend and book us a restaurant for dinner in the old town which was also amazing. Thanks so much for a lovely afternoon. Irena is a fantastic tour guide. She is knowledgeable, professional, accommodating, and super-friendly. She provides historical and personal perspectives that enhance an already great experience. You cannot go wrong with Irena! TOUR GUIDE RESPONSE: Thank you David, it was a pleasure meeting you. We had to make some changes to our itinerary and Irena was very accomodating. Couldn't have been happier. Irena was awesome - she made us feel comfortable right from the start. She had lots of knowledge and didn't once seem tired by our incessant questions! It was a tiringly long day but her energy and enthusiasm lasted until the end when we were securely dropped off at our hotel lobby. We will most definitely want to see Irena again when we return. She made our short trip so very worthwhile, we loved it! Irena was particularly flexible since we changed tour choice at the last minute. Because she is so skilled, she was able to accommodate exactly what we wanted to do in the time we had. She had to drive and walk some distances to make our experience particularly nice. We span ages from 18 to 73 so these accommodations were tricky. We were grateful we had such a professional. I can highlight recommend Irena for the guide in this area! Irena met us at the dock promptly at the appointed time. She had planned a fantastic day for us in Sibenik with prearranged privates guides and demonstrations at the Raptor Center, and Etnoland. We also did a walking tour of the old city in the afternoon. Irena is friendly, knowledgeable, courteous, and speaks English very well. We had a great time. Thanks, Irena! The tour was very informative even though we had a little trouble connecting due to some miscommunication on my part. TOUR GUIDE RESPONSE: Dear Fred and Peggy, thank you so much for this. I was pleasure meeting you and hopefully we will meet again. Irena did an excellent job of explaining not only the local area, but provided an excellent historical overview of the area from the first Greek settlements to the causes and results of the war of independence in the 90's. Guide and driver were on time waiting for us at the port. They were very friendly and knowledgeable. The car was nice - a BMW. Everything was easy, as-promised. Our guide answered our questions well throughout the trip, even asked us some questions to make sure we were getting the experience we had hoped for. They were very willing to work with us to make sure we were happy. The guide was a great photographer, too, so my friend and I could get pictures together! It was a great experience. TOUR GUIDE RESPONSE: Thank you a lot. Despite a late start due to unusual dense fog Irena from Zadar drove us in her very comfortable BMW X1 in early November to Krka National Park to see one of the most beautiful cascades and then returned via the very scenic coastal road. She is very pleasant. 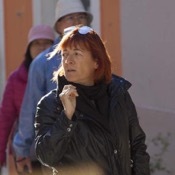 Her colleague, Marina, showed us the city of Zadar itself by walking tour. She is friendly, funny, enthusiastic, extremely knowledgable and able to enliven the sometimes dry subject of history. Our guide in Zadar, Sunny, was very informative and professional. She gave an excellent tour, answered questions, and was very fluent in English. WE would rate her with a 5. Mr. D gave the afternoon tour of Krka Park. He wasn't as fluent and did not understand us at times. He didn't give the informative tour that Sunny did. We enjoyed him but really wanted more information. Great tour all around! We would use your guides again. TOURSBYLOCALS RESPONSE: We've reminded Irena of our policy on substitutions and received her assurances that it won't be repeated. Irena did a workmanlike job on this short tour. The 'Sea Organ' was more than we expected and was well explained. The same is true of the churches. With our permission we had a different tour guide than Irena as we altered tour so we could go to the beautiful Roca Estate (HIGHLY RECOMMENDED! 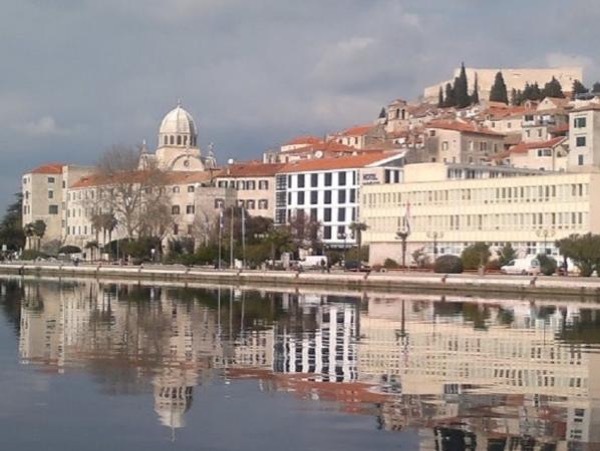 )& old town Zadar. ROCA was an amazing cultural experience! Owners are great people! While musicians play- drink, enjoy platters of amazing prosciutto, sausage and cheese! Anyway our guide was a HS Spanish teacher who we learned a lot about the culture, politics & history of Zadar! The old town sea organ was amazing to listen to and the tour was outstanding!